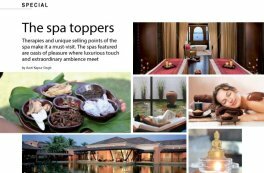 Therapies and unique selling points of the spa make it a must-visit. We use own and third party cookies to improve our services. If you continue browsing , we consider you accept its use. You can switch the configuration or learn more here i agree.